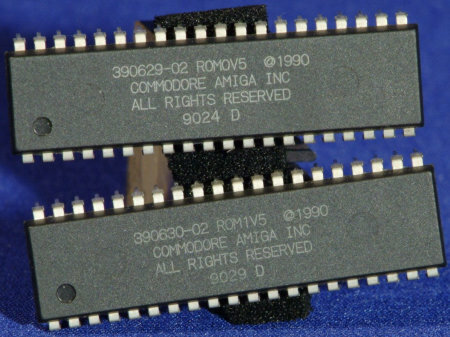 The Kickstart chips are responsible for holding the core of the Amiga operating system, what you probably could loosely consider as the kernel. 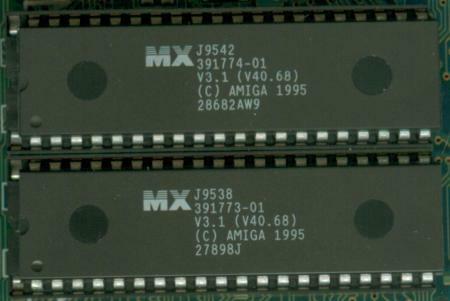 Depending on the machine you have the Kickstart is either held as 1 x 512K ROM or 2 x 256K ROMs. 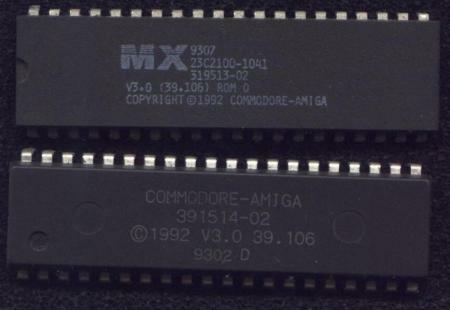 Some models of Amiga also accept a disk based version of Kickstart such as the A1000 and some A3000s.